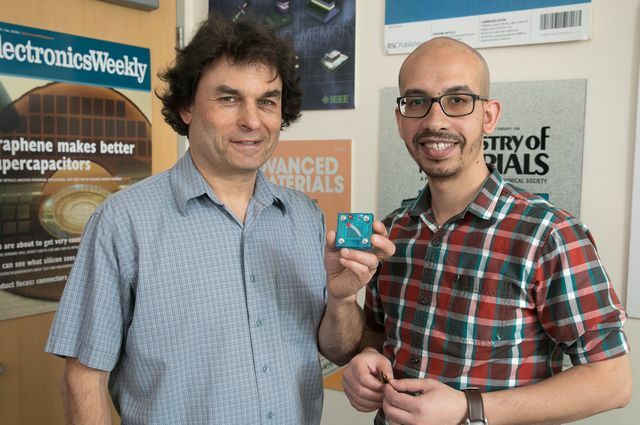 Richard Kaner and Maher El-Kady with a replica of a new device that can use solar power to inexpensively and efficiently create and store energy. 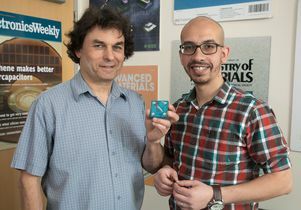 UCLA researchers have designed a device that can use solar energy to inexpensively and efficiently create and store energy, which could be used to power electronic devices, and to create hydrogen fuel for eco-friendly cars. The device could make hydrogen cars affordable for many more consumers because it produces hydrogen using nickel, iron and cobalt — elements that are much more abundant and less expensive than the platinum and other precious metals that are currently used to produce hydrogen fuel. The technology, described in a paper in the journal Energy Storage Materials, could be especially useful in rural areas, or to military units serving in remote locations. It could also be part of a solution for large cities that need ways to store surplus electricity from their electrical grids. 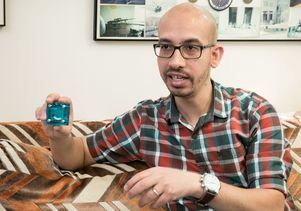 “If you could convert electricity to hydrogen, you could store it indefinitely,” said Kaner, who also is a member of UCLA’s California NanoSystems Institute. Traditional hydrogen fuel cells and supercapacitors have two electrodes: one positive and one negative. 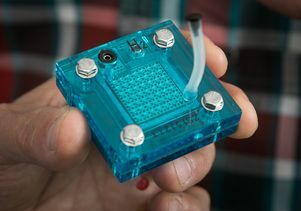 The device developed at UCLA has a third electrode that acts as both a supercapacitor, which stores energy, and as a device for splitting water into hydrogen and oxygen, a process called water electrolysis. All three electrodes connect to a single solar cell that serves as the device’s power source, and the electrical energy harvested by the solar cell can be stored in one of two ways: electrochemically in the supercapacitor or chemically as hydrogen. The device also is a step forward because it produces hydrogen fuel in an environmentally friendly way. Currently, about 95 percent of hydrogen production worldwide comes from converting fossil fuels such as natural gas into hydrogen — a process that releases large quantities of carbon dioxide into the air, said Maher El-Kady, a UCLA postdoctoral researcher and a co-author of the research. “Hydrogen energy is not ‘green’ unless it is produced from renewable sources,” El-Kady said. He added that using solar cells and abundantly available elements to split water into hydrogen and oxygen has enormous potential for reducing the cost of hydrogen production and that the approach could eventually replace the current method, which relies on fossil fuels. 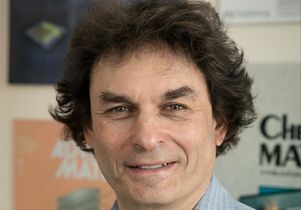 Combining a supercapacitor and the water-splitting technology into a single unit, Kaner said, is an advance similar to the first time a phone, web browser and camera were combined on a smartphone. The new technology may eventually lead to new applications that even the researchers haven’t considered yet, Kaner said. The researchers designed the electrodes at the nanoscale — thousands of times thinner than the thickness of a human hair — to ensure the greatest surface area would be exposed to water, which increases the amount of hydrogen the device can produce and also stores more charge in the supercapacitor. Although the device the researchers made would fit in the palm of your hand, Kaner said it would be possible to make larger versions because the components are inexpensive. “For hydrogen cars to be widely used, there remains a need for a technology that safely stores large quantities of hydrogen at normal pressure and temperature, instead of the pressurized cylinders that are currently in use,” said Mir Mousavi, a co-author of the paper and a professor of chemistry at Iran’s Tarbiat Modares University. The paper’s other co-authors are graduate student Yasin Shabangoli and postdoctoral scholars Abolhassan Noori and Mohammad Rahmanifar, all of Tarbiat Modares. Maher El-Kady holding a replica of the new energy storage and conversion device. A replica of the new energy storage and conversion device designed by Maher El-Kady, Richard Kaner and colleagues.